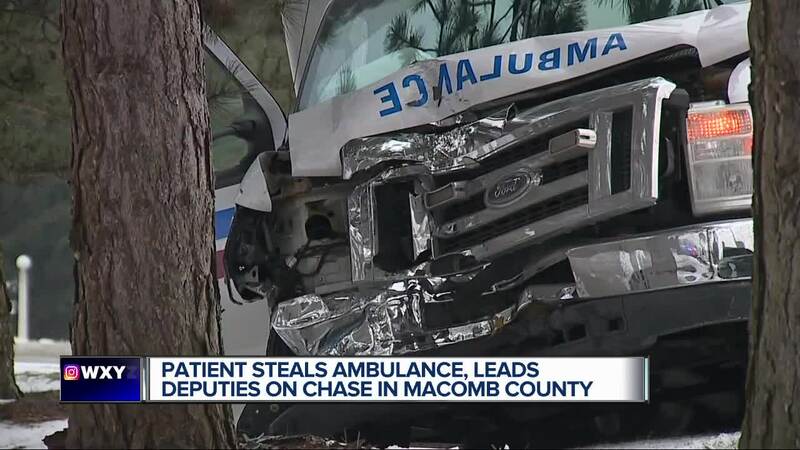 CLINTON TOWNSHIP, Mich. (WXYZ) — A 42-year-old man is in custody after stealing an ambulance and leading multiple jurisdictions on a police chase. The pursuit began Saturday afternoon in the area of Groesbeck and North Avenue, according to Clinton Township police. The man is a psychiatric patient who was being transported from McLaren Hospital. Police say the man was able to steal the ambulance by overpowering two MedStar employees during the transport. “About five to eight minutes into the transport, the patient was able to get himself out of the restraints,” said Scott Hicks, the Director of Administrative services for MedStar. The two medics driving the ambulance were following protocol when the carjacking of the ambulance happened. The medics were in the process of taking the man from McLaren Hospital to Havenwyck Hospital when things got out of hand, according to Hicks. “He overpowered the crew member in the back, made his way into the cab of the truck where he forced the driver out of the vehicle,” he said. 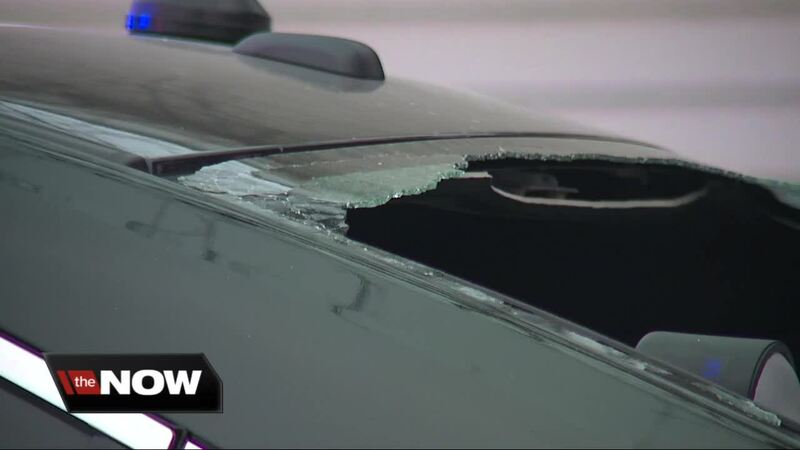 The suspect disabled the anti-theft device near the drivers seat. However, he was easy to track down because of the GPS device inside the ambulance. According to Hicks, MedStar was able to give police a play-by-play of where the ambulance was heading. He headed north on Groesbeck to Hall Road, where he turned westbound. From there, Clinton Township police pursued the ambulance on westbound Hall Road near Romeo Plank. The Macomb County Sheriff’s Office also helped in the chase, and two of their deputy vehicles were hit in the process. One deputy was taken to the hospital as a precautionary measure. The suspect crashed into a tree near the intersection of Schoenherr Road and 23 Mile Road in Shelby Township. Police are requesting prosecutors charge the man for fleeing and eluding, and carjacking.